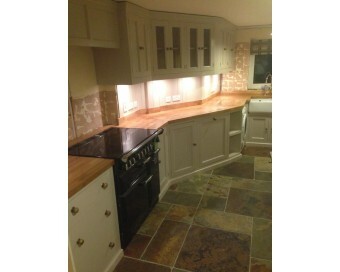 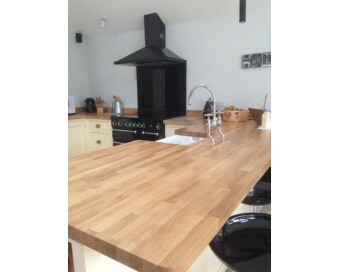 We can supply a huge range of wood & stone worktops including: granite, slate, oak, reclaimed pine and even things like zinc, copper & quartz. 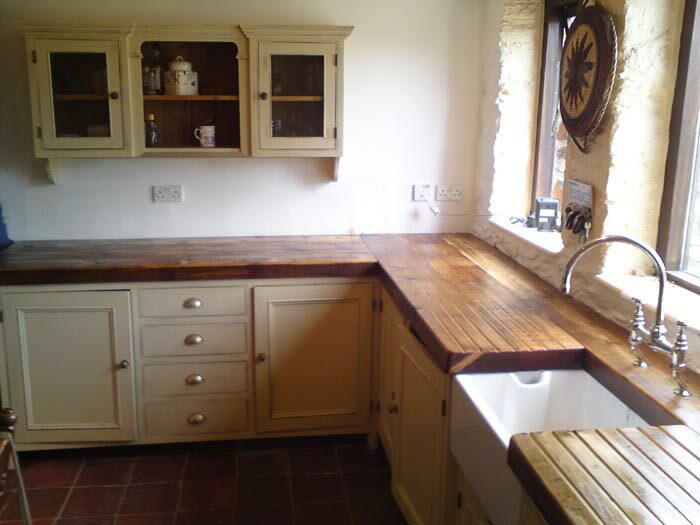 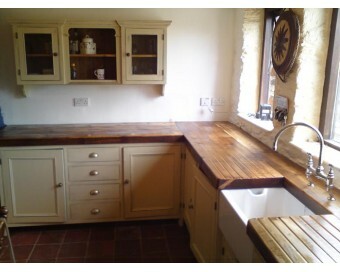 You can go for 50mm thick reclaimed pine for the totally rustic look or something like honed granite for a more contemporary feel and, of course, you can mix and match any of them to add to the freestanding look of your kitchen if you should want to. 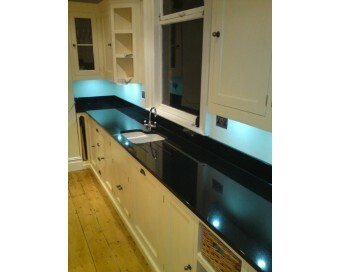 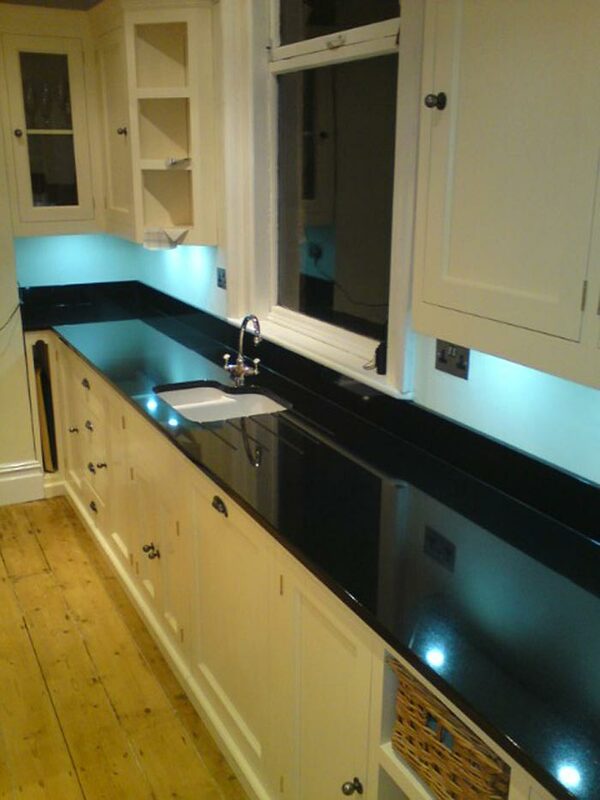 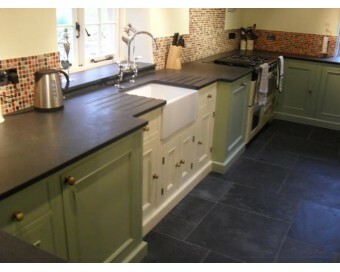 Our most popular worktop choice at the moment is the dark honed Granite which has a lovely matt finish and is very in-keeping with the look of our kitchens but also has all of the positive features of granite like being hard to scratch & stain without being highly polished or shiny. 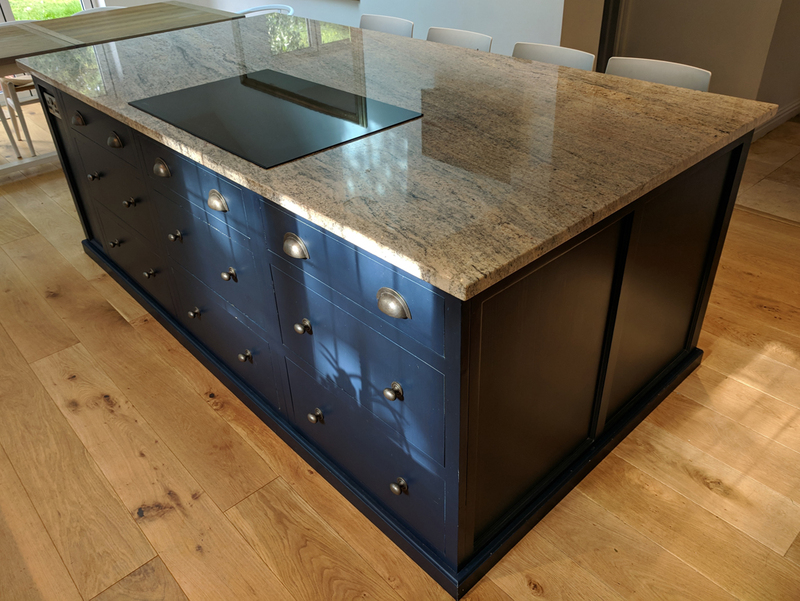 On display at our Exminster showroom we have examples of most of these so it is well worth popping in for a look and a feel! 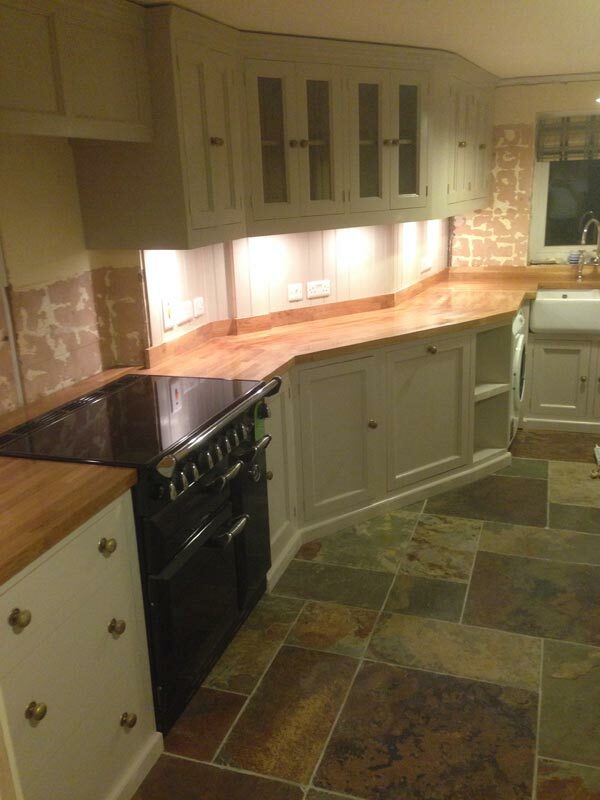 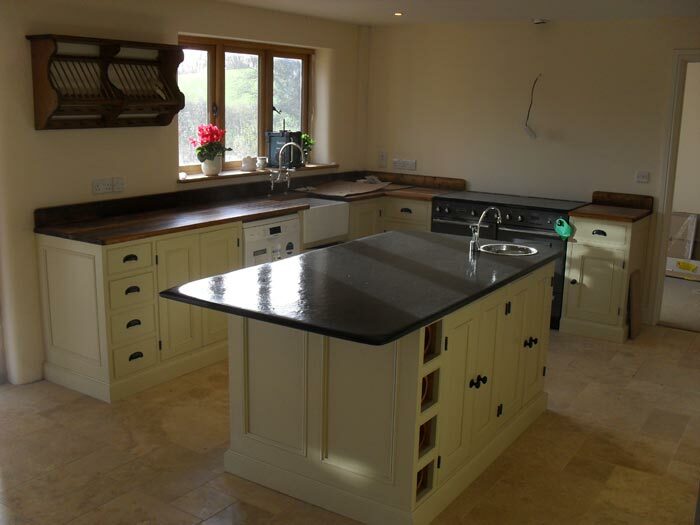 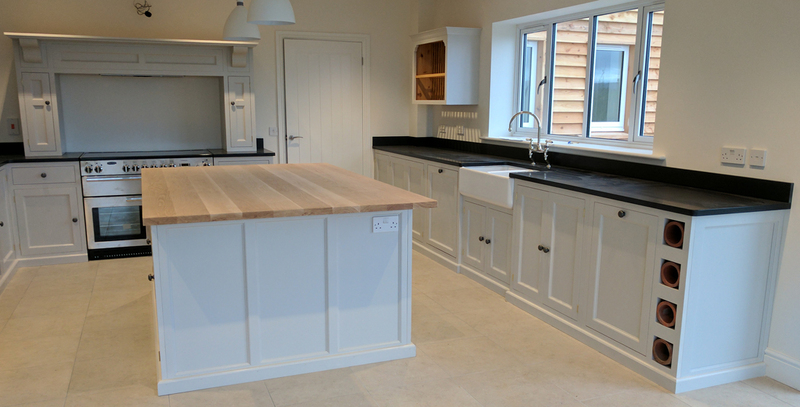 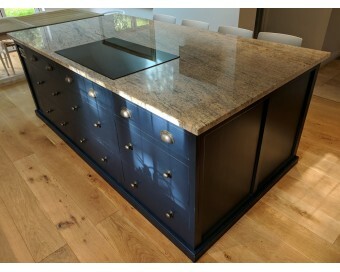 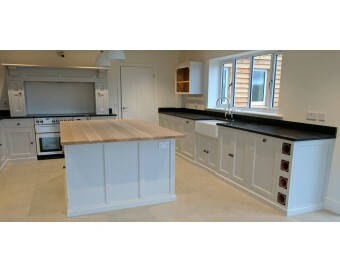 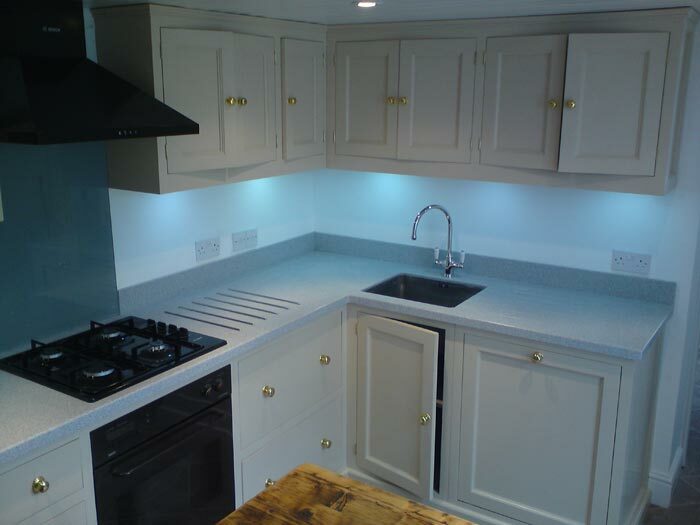 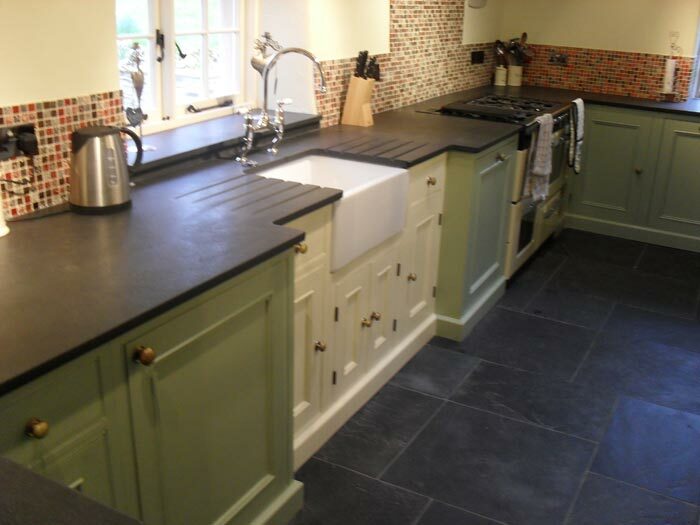 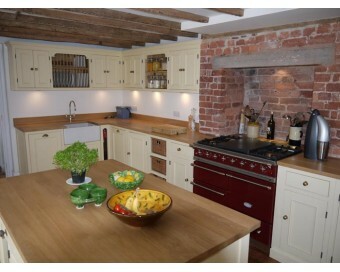 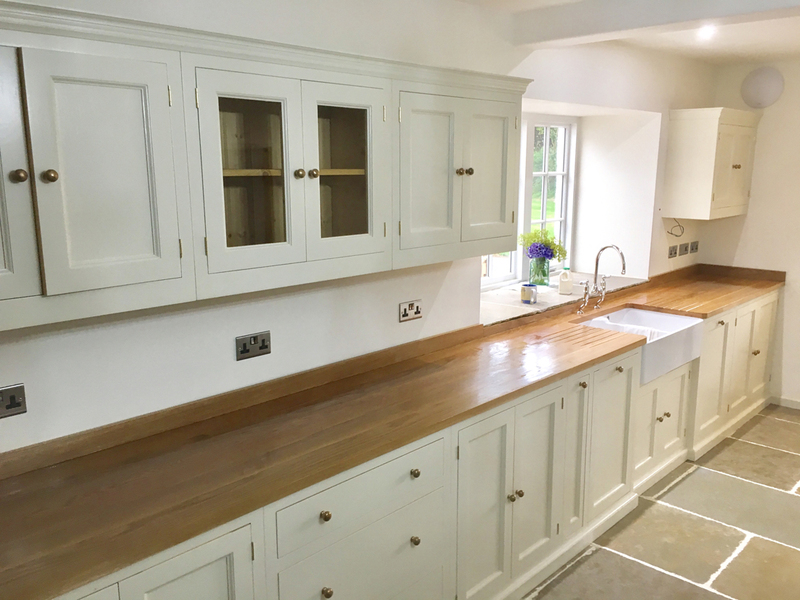 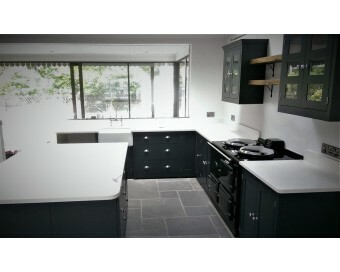 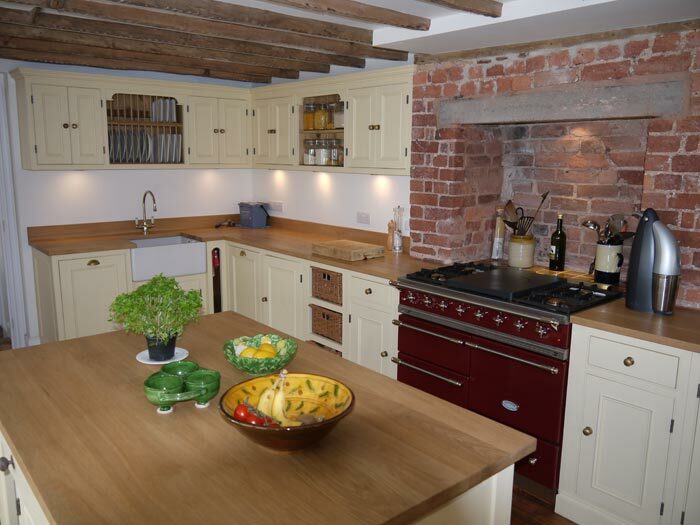 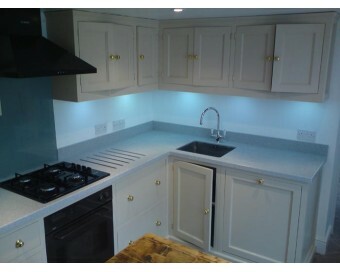 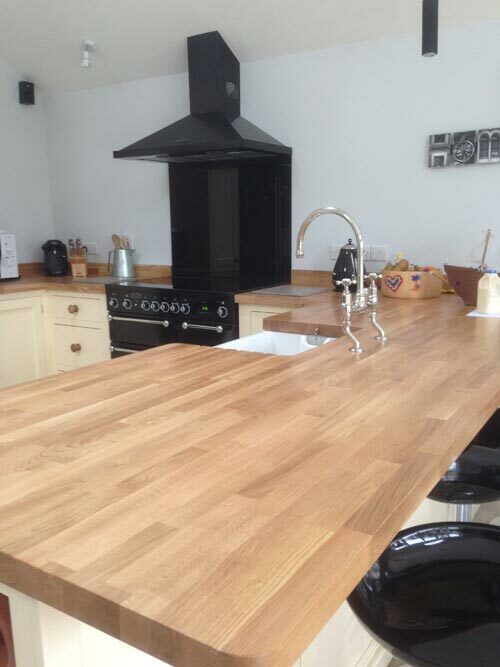 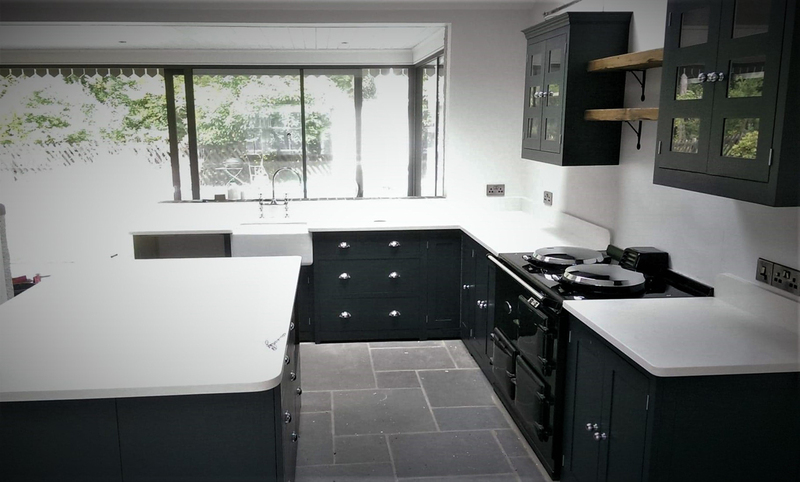 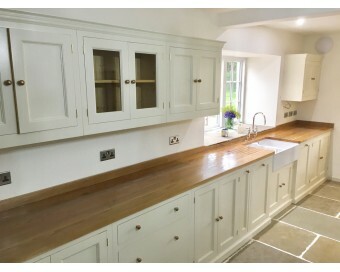 Of course – as our kitchen service is completely bespoke if you want to source your own worktops from another supplier that is also fine with us.